DR. ALEIDA GUEVARA - lifelong Cuban revolutionary leader, a pediatrician,prominent author of the book, “Chávez, Venezuela and the New Latin America” and daughter of the legendary Ernesto Che Guevara. MANUEL YEPE – journalist and professor at the Superior Institute of International Relations of Havana. Manuel was a leader of the underground July 26 Movement in Matanzas leading up to the triumph of the Cuban revolution, and worked directly with rnesto Che Guevara. Dr. Aleida Guevara and Manuel Yepe will join us along with other speakers from Cuba, Venezuela, the US and Canada. Since the triumph of Cuba’s 1959 revolution to today, the vision and political ideas that shape the Cuban revolution remain a source of inspiration, discussion and debate around the world. Through the ideas of Fidel, Che, the Cuban socialist project, and the dynamics of the mass revolutionary movement, Cuba has become a country renowned for its achievements in health, education, culture, science and many other aspects of social and human progress. The Cuban socialist project and the Cuban revolutionary leadership, despite 50 years of an inhuman and criminal blockade by various US administrations, have never wavered to imperialist pressure. The annual International Che Guevara Conference is an opportunity to discuss and debate the ideas of the Cuban revolution, its dynamism and how it has impacted Latin America and the world. This year's conference, “Cuba and Revolutionary Internationalism” will discuss the foundation of the Cuban socialist revolution: revolutionary internationalism, its dynamism and its impact both inside and outside of Cuba. The first International Che Conference in 2008 was on the theme “Che Guevara, Thinker and Fighter: Are His Ideas Relevant for the 21st Century?” The Second International Che Conference in 2009 was on “50 Years of Dynamism of the Cuban Revolution”. 1. 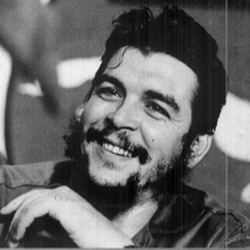 Che Guevara, Revolutionary Internationalist: Are his ideas relevant for the 21st Century? **SPECIAL EVENING: Saturday night of the conference, June 26 at 7:30PM will be a special evening dedicated to the 5 Cuban heroes held in US prisons with featured speakers, music, poetry and multimedia.